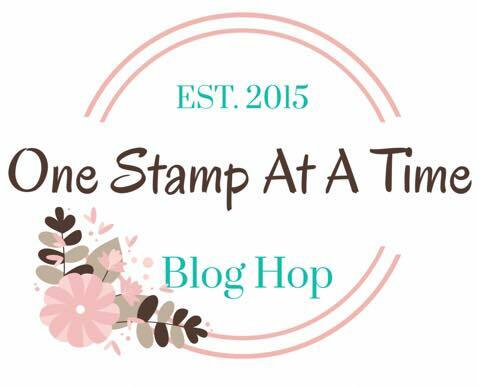 Hello and welcome to this month's One Stamp At A Time Blog Hop. This month's theme is Spring Fling. I know that everyone has created some great projects with this month's theme. I have a super cute set of projects for you today. For my projects this month I used the Fable Friends Stamp Set. This is one of my favorite stamp sets from the 2019 Stampin' Up! Occasions Catalog. 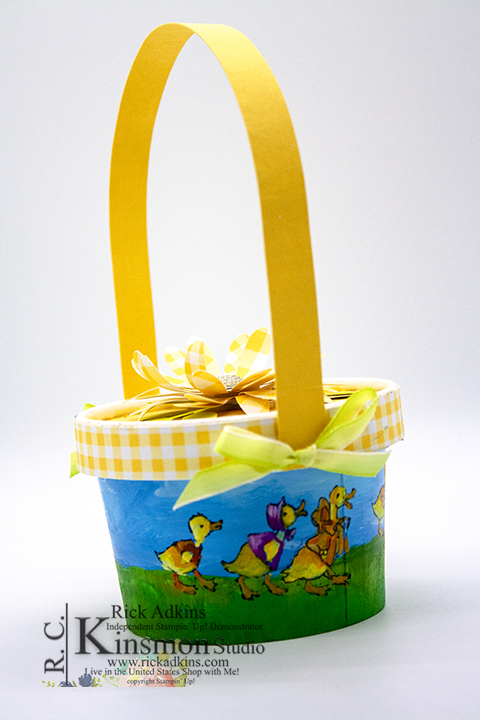 This set features some fun story book like charter; as well as sentiments for both Easter and Spring. Here's a look at my projects. 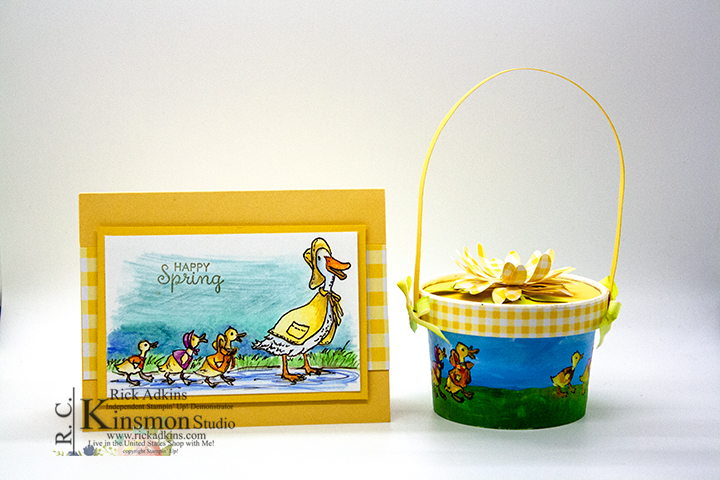 I used the geese image from the stamp set for both my card and dimensional project. 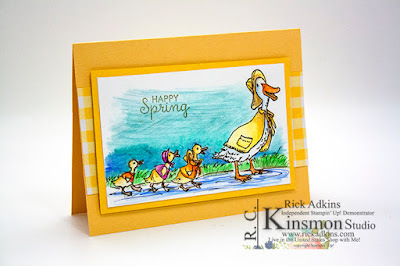 For my card I used the Mother goose and the little goslings. For the dimensional project I used just the babies. Again I just adore this set the images are all so cute and adorable. 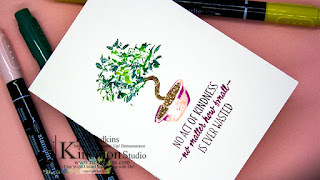 I started this month's projects by creating the card. I knew that I wanted to use that stamp set and I knew that I wanted to do something with coloring. So I settled on the goose and gosling images and I used my watercolor pencils to color in the images. Once I had everything colored in I used a blender pen to soften the pigment. I then cut down the image and matted it with a piece of Daffodil Delight cardstock. I used a piece of So Saffron cardstock (5 1/2 x 8 1/2 scored at 4 1/4) as my card base. I added a piece of the Gingham Gala Designer Series Paper in Daffodil Delight between the card base and the matted image. For my dimensional project I used one of the sweet cups from the Occasions Catalog, and hand painted the base of the cup to match the card. and then stamped the goslings going around the entire thing once dried. Next I painted in each little goose to match my card. I used acrylic paint from Arteza to do this. Once everything was dried it was time to decorate the top of the cup. I used two strips of the matching designer series paper as the card and attached it around. 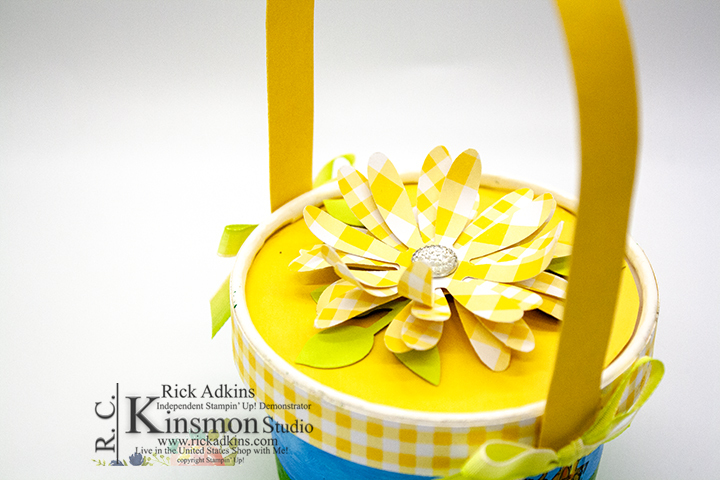 I then used daffodil delight cardstock to cover the top of the cup and the handle. 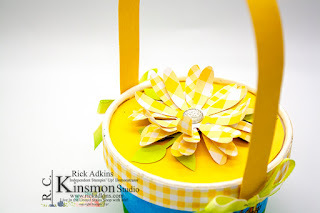 I then used the daisy punch and punched out four daisies from the Gingham Gala designer series paper and attached each with a mini glue dot and a stampin' dimensional. I added a clear faceted gem to the center of the cluster. I then punched out a few leaves using the leaf punch and some scraps of Lemon Lime Twist Cardstock. I added two bows to the handle. I used the Lemon Lime Twist Ombre ribbon for this. Thanks for dropping by today, I hope that you have a wonderful day and that you have enjoyed my projects. If you need any of the supplies you can order them in my online store. I hope that you have fun hopping along today; I know that everyone have created wonderful projects for you today. 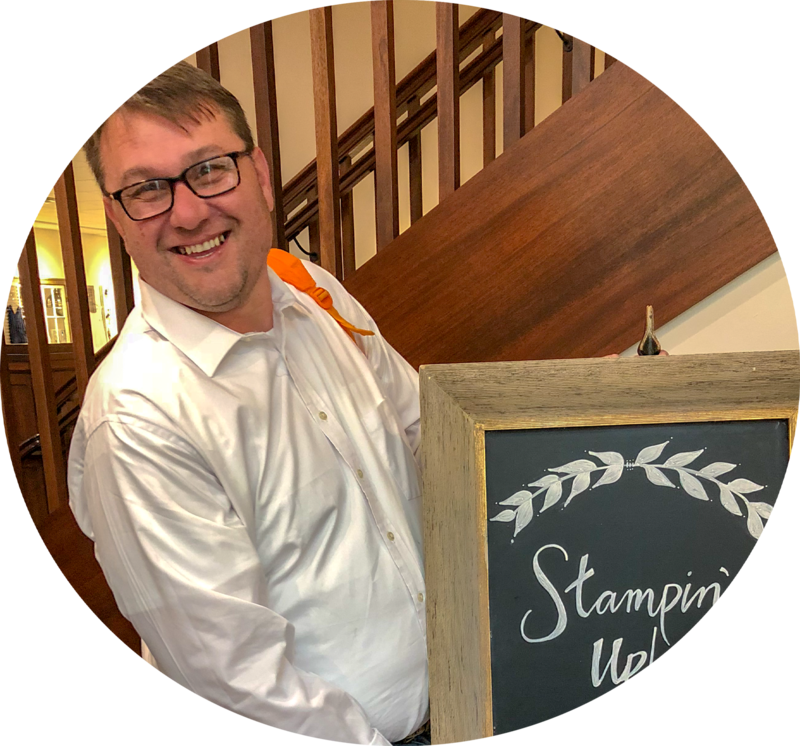 If you are viewing this post via my wordpress site you will have to click here to view the blog roll. These are fabulous, Rick! The painting is fantastic. What a bright and cheery set. Great job, Rick!